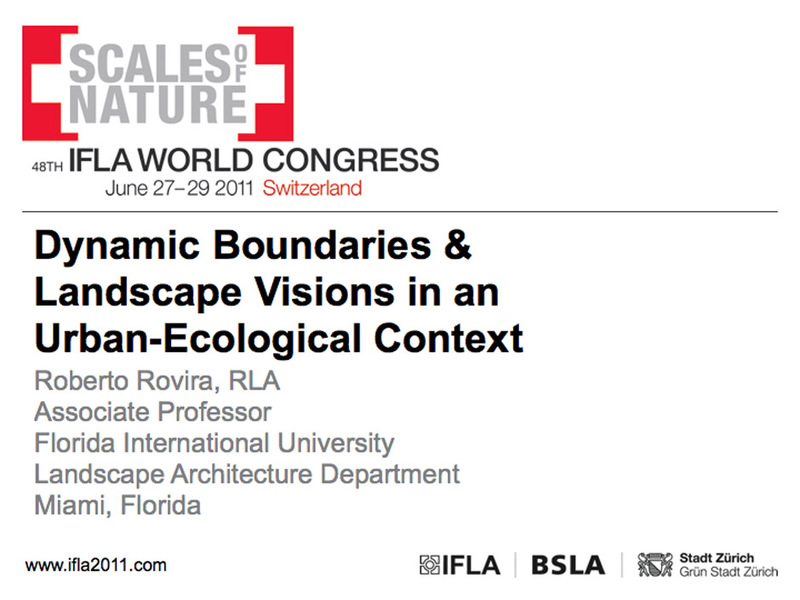 Themed “Scales of Nature,” the 48th IFLA conference took place from June 27-29, 2011 in Zurich, Switzerland. Based on our understanding today, landscapes are characterised by the multifaceted interaction of different layers. On the one hand ancient, natural landscapes are coming under pressure. Due to our changing recreational and leisure needs, they are being reshaped, usurped and converted in either a subtle or even volatile transformation process. On the other hand, artificial areas of nature are being created by humans in urban environments, permeated by different topologies, criteria and gradations. Bearing the name “Scales of Nature”, the 48th IFLA World Congress in Zurich is devoted to the fluctuating range of topics between artificial and grown nature and to the sustainable development of the landscape for a more enhanced quality of life. While the first day is all about urban landscapes, the second day of the Congress deals with the peri-urban phenomenon in urban agglomerations and the third day concerns specific issues relating to rural land and its changes. At the forefront will be the debate on the general concept of landscape, which will encom- pass all facets of the environment and the interaction between man, nature and landscape. In particular, the organizers will strive to have an inspiring exchange between landscape architects working in research, planning and design. All practising landscape architects, students and people working in landscape architecture, landscape development, land-use planning, urban planning, architecture, construction, for- estry and agricultural engineering, land art, ministries and offices for the environment and urban development, department for parks, gardens and open spaces, the media and inter- ested members of the public.